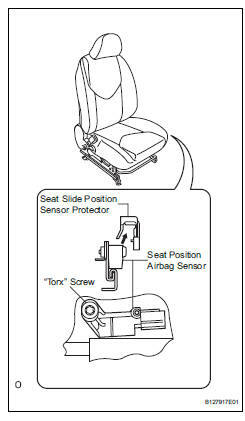 Even if the airbag was not deployed, check if there is any damage to the seat position sensor. Cracks, dents or chips on the sensor housing. Cracks or other damage to the connector. For removal and installation procedures of the seat position sensor, be sure to follow the correct procedure. 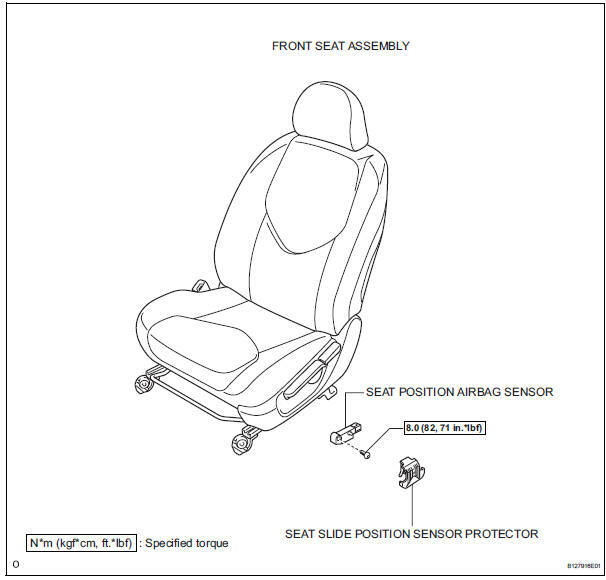 Remove the seat slide position sensor protector from the seat position sensor. Using a t30 "torx" socket, remove the "torx" screw and seat position sensor. Using a 1 mm (0.039 In.) Feeler gauge, install the seat position sensor. If the seat position sensor has been dropped, or there are any cracks, dents or other defects in the case or connector, replace the seat position sensor with a new one. When installing the seat position sensor, be careful that the srs wiring does not interfere with other parts and that it is not pinched between other parts. Be sure that the clearance between the seat position sensor and the seat rail is within 0.6 Mm to 1.4 Mm (0.023 To 0.055 In.). Using a t30 "torx" socket, tighten the "torx" screw to install the seat position sensor. Make sure that the clearance between the seat position sensor and the seat rail is within 0.6 Mm to 1.4 Mm (0.023 To 0.055 In.). 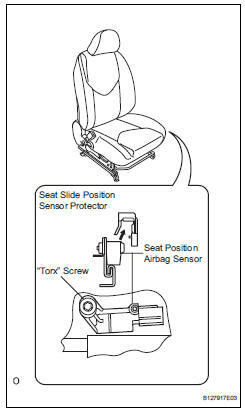 Install the seat slide position sensor protector to the seat position sensor.